TP-Link TL-WR700N 150 Mbps 1-Port 10/100 Wireless N Mini Pocket Router BRAND NEW. Condition is New. Shipped with USPS First Class Package. At 150Mbps, the TL-WR700N has the wireless speed and range to power a complex set of networking applications to create a highly efficient mobile office or entertainment network in no time. Small enough to fit in the average pocket and with no cables to plug in, save a WAN cable, the router is uniquely suited to providing robust wireless networking to travelers, students, or anyone else for work or play.Features: Compatible with IEEE 802.11n g b; Wireless speed up to 150Mbps; Travel-sized design, Ideal for home or travel use. My kids wanted to play Minecraft on a network but I did not want them on the internet. Found this for $10 and set it up and quickly networked all the laptops to have an instant minecraft party. Only hard part was trying to read the default wifi password on a sticker the size of my daughter's pinky fingernail. But used an iphone to take a pic and then enlarged it to view the password before changing it to something easier to remember! So cheap I plan to buy another. One of the two I bought works very well. A lot of wifi boost in a small package. The second one I have won't hold the wifi connection very well and doesn't reset easily. Would be 5 stars all around except for that! Product had decent speeds for my purposes. 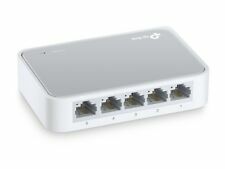 You can either connect via wireless or the wired network port which is a plus especially if you aren't near your main router. Good value and I would purchase one again!